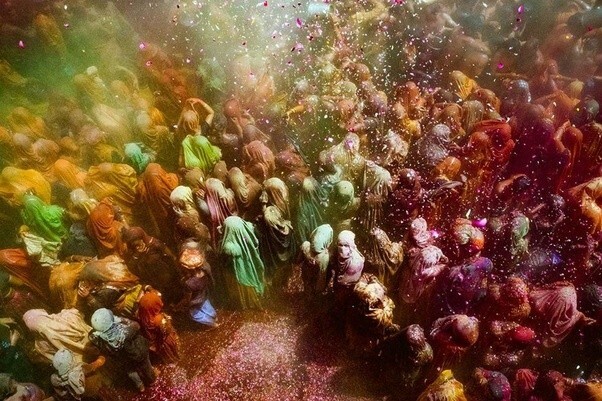 Holi Festival is a festival celebrated to enjoy the victory of gods over evils according to Hindus. Holi Festival in India is celebrated for almost two days, the first night is called as Choti Holi or Holika Dahan which is followed by the very next day which is called Rangwali Holi. It mostly starts in the spring season or more precisely we can say that it starts the spring season with lots of colours and ends it with the chilling winters.It is an ancient festival which now became popular even outside India. With the Cheers and happiness of people, the colours add a flavour to the enjoyment and bring up a feeling of unity and togetherness. It is the most vibrant and unique festival of India that is played with pure colours of flowers and natural things like turmeric and sandalwood but nowadays they are replaced with synthetic colours or artificial colours. Still, everyone plays it with enthusiasm and joy. 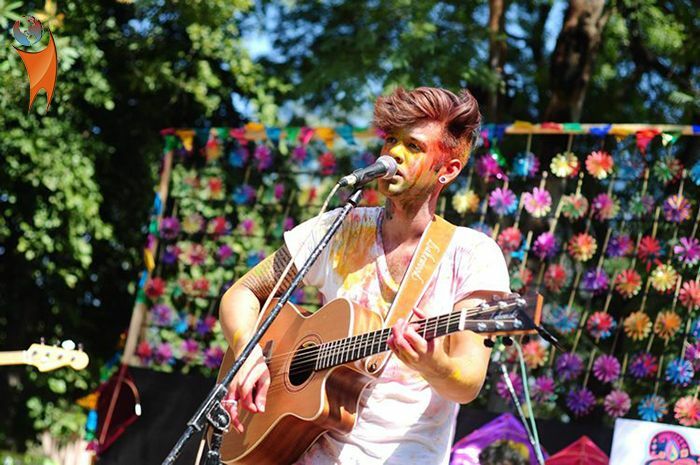 Many events and concerts are held to make Holi more enjoyable. Holi is also a time when people from far or away from their Home travel to their hometowns to celebrate with their loved ones. Holi is considered to be a festival of colours where every sort of colours is used. 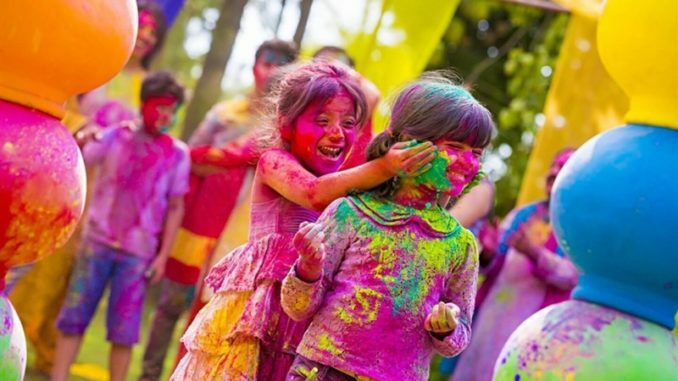 Children Enjoying With Various Colors And Celebrating the True Meaning of Holi. Youths all over India Celebrating the Festival of Colors in the grandest way possible. Holi is all about how colourful you get at the end of the day, This picture says it all. Students smear colour powder on each other during a Holi Event in Kolkata. 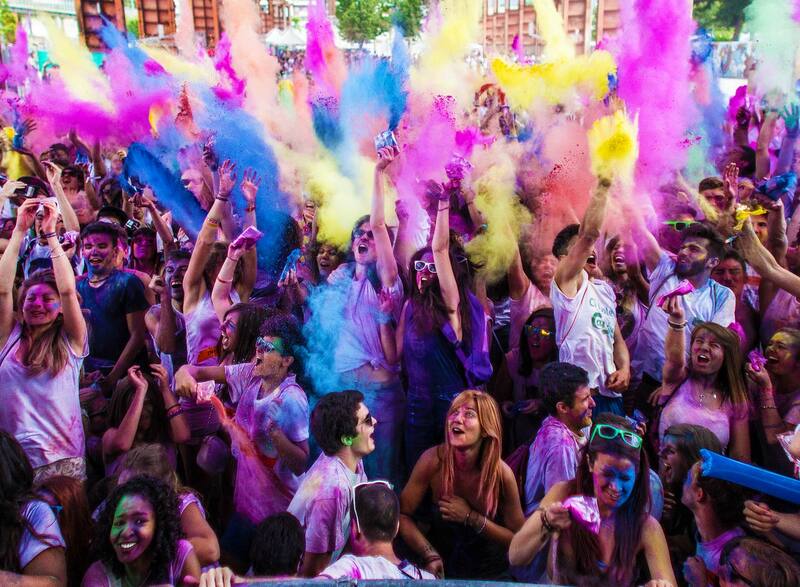 The best places to celebrate Holi in India completely depends on what kind of experience you want to have more precisely how you want to enjoy to the fullest. 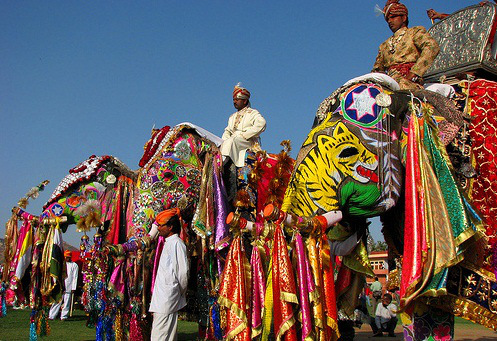 You’ll find activities taking place in several parts of India, that range from Traditional temple rituals to modern parties with Dj’s, bhang, and plenty of colours. If you want to celebrate Holi in a traditional manner than Jaipur is the best place for you. Enjoy to the fullest when it comes to an ethnic type of Holi. Goa has Always been the Hub of India with One of its major parties Streaming in with a Crazy crowd that gather mostly in the time of Holi. Another thrilling game that is played in Holi is paintball fight. 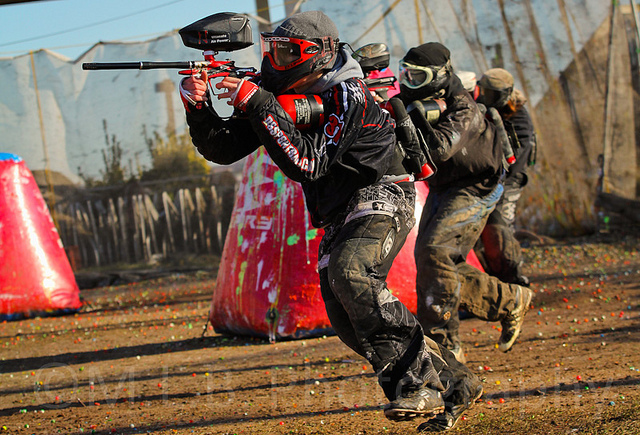 Get involved with your favourite people and play alongside other groups. Another favourite reason why we celebrate Holi is Rain Dance, which is mostly found in big parties and celebrated thoroughly by the youths. The crowd comes alive and there is a Huge gathering on the Street to celebrate the colourful festival. 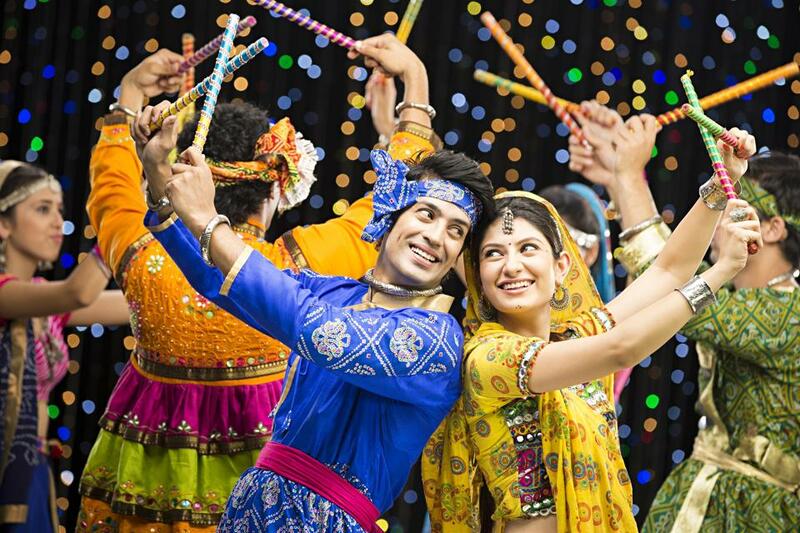 Especially Dandiya is one of the most customary dances that is mainly enjoyed in Holi dance that involves a huge number of people dancing in sync with two elbow length sticks, performing in a circle. 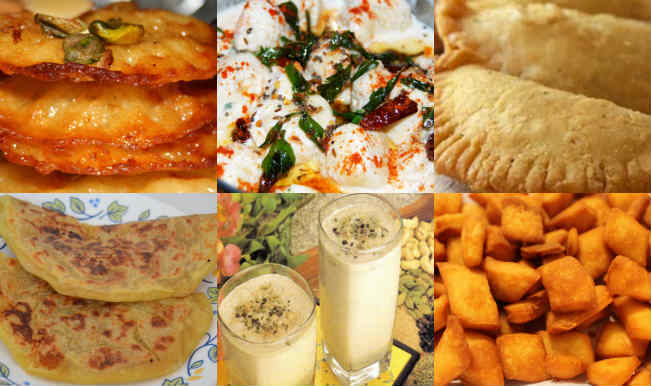 The Yummy Gujiyas and the Thandai Bhang majorly celebrated in the metropolitan cities. 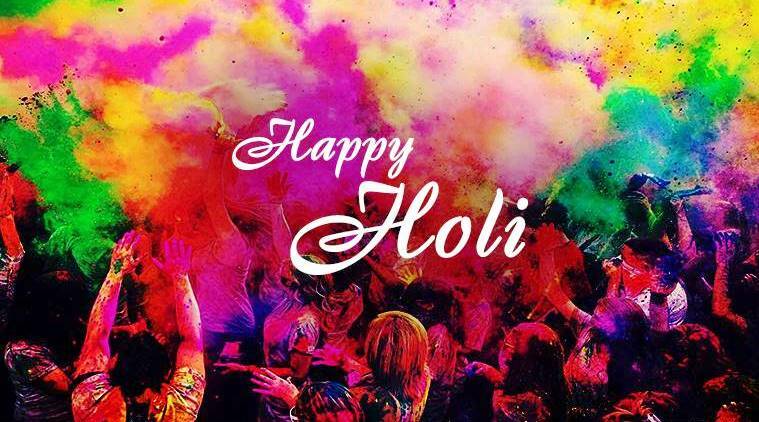 Holi is one such day when colouring your hand in pink, green orange and red colours feel really great and perfect. For those who are complete die-hard fans of this festival of colours, continuously play on for the whole day till one such time where they cannot even recognise themselves. Colours aside, food is an important part of the festivities as well, with most of the people indulging in mouth-watering delicacies such as Gujiyas and malpuas on this day.Holi has been so far the best and the craziest festival so far in 2018. What You Need To Know About Dusshera ? Celebrate Diwali In Your Own Style!